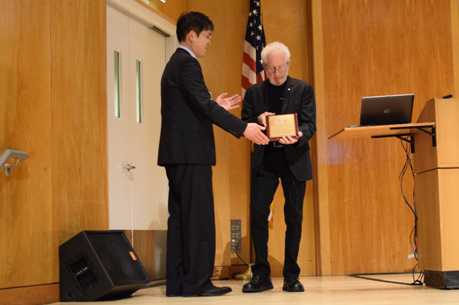 The AAAFM-Heeger Award (named after Alan J. Heeger, Nobel Laureate) is a prestigious prize conferred on an outstanding, dynamic young researcher (Faculty members, Postdocs, or Junior Scientist) for their outstanding achievements and contributions to the field of Functional Materials. The maximum age considered is 45 years. 1. Cash Award of $3000.